Speakers of the parliaments of the European Union emphasised the unity of member states, the role of national parliaments and the need for more active engagement of citizens in shaping the future of the Union at the Conference of the Speakers of the European Union Parliaments in Tallinn. President of the European Parliament Antonio Tajani said that the future of Europe is shaped by policies and politicians. 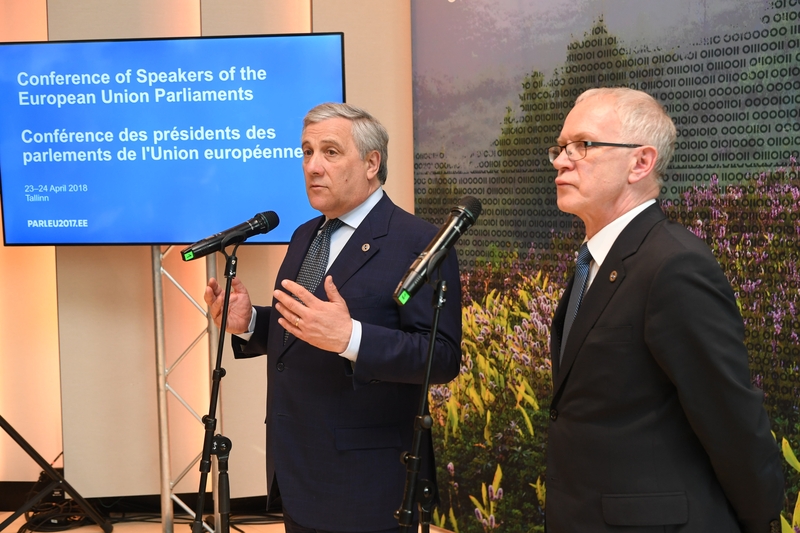 “Our citizens are calling for a Union which is more effective, more political and more democratic, which addresses their main concerns: security, immigration, employment,” Tajani emphasised in his speech, and called on politicians to have closer cooperation with the citizens. Tajani considered it important that as many people as possible cast their votes at elections, and in his opinion, it is the responsibility of the politicians to ensure this. Speaking of the economy of the European Union, Tajani said that the European Union market was large, but the member states could be strong only if they cooperated. “We are more than a political union, we are a community of values,” Tajani said. 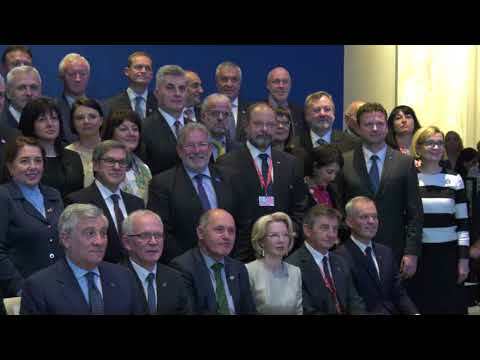 Marshal of the Sejm of the Republic of Poland Marek Kuchciński spoke of the need to increase the role of national parliaments as the connecting link between the citizens and the international representatives at the European Union level. “If we want the future of the European Union to be successful, it is necessary to restore the trust of the citizens,” Kuchciński said. 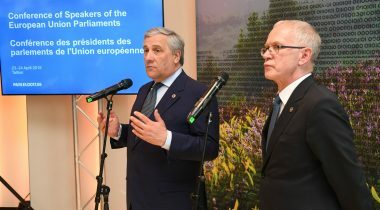 Speaker of the National Council of the Slovak Republic Andrej Danko and President of the French National Assembly François de Rugy highlighted the common challenges of the European Union – security, defence of external borders, combating illegal migration and enhancing the dialogue between the countries – in their speeches. The Conference will continue tomorrow, when the discussions will focus on European security and defence. Keynote speakers are Speaker of the Saeima of the Republic of Latvia Ināra Mūrniece, President of the German Bundestag Wolfgang Schäuble and President of the Austrian National Council Wolfgang Sobotka. The delegations of Albania, FYR Macedonia, Montenegro, Serbia, Turkey, Norway, Iceland and Switzerland also participate in the Conference. The Conference is held at Hilton Park Hotel, and it is streamed online on the parleu2017.ee web page, where you can also find its programme. The photo and/or video materials will be made available as soon as possible on parleu2017.ee web page, on the Riigikogu Flickr account, and on YouTube. We will share the thoughts of the participants in the Conference via social media in Facebook and the Riigikogu Twitter account.